You place your Revit camera in your Revit floor plan and and point to a target point across the space to display the perspective image of that space. Next, you pick the Revit Render button --and Presto! You get a 'black screen' view of your room. If there's an exterior window, portions of the room may appear from the exterior sun light coming thru the window. You can see the lights in your reflected ceiling plan; but the lights don't produce light in your room. Here's a startup sequence for Turning ON the Lights for Revit Interior Renderings. 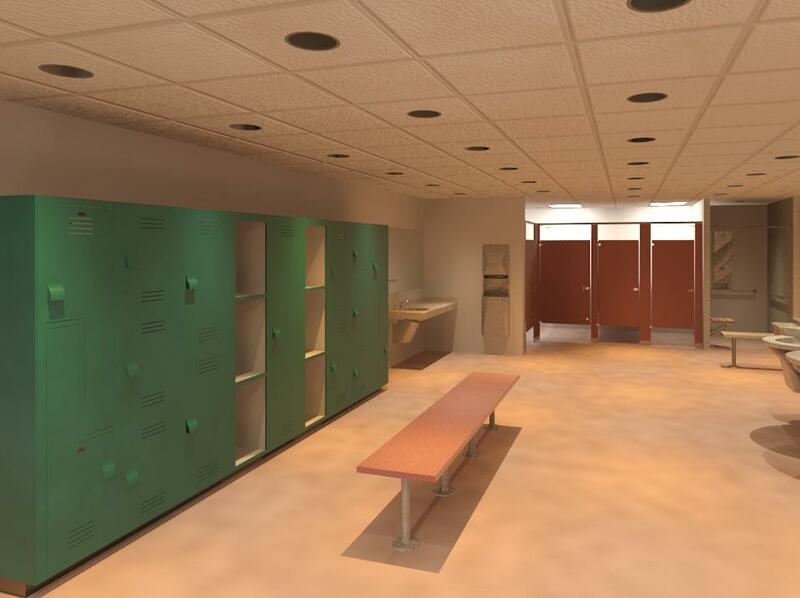 The first step to turning on the lights for Revit Interior renderings is choosing one of the 2 lighting schemes that use Artificial lights (ceiling an/or walls). 2) Go to your 3D View that you wish to Render. 6) Create a new light group for lights that are located in the specifc space that will be rendered. 8) Pick the Add button in the pop-up dialogue box to add light fixture models to the Group. 9) At this time, you may need to go to the Reflected Ceiling plan to select the lights to place in this group. * If all the lights are visible in the view, select them without going to the Reflected Ceiling Plan.